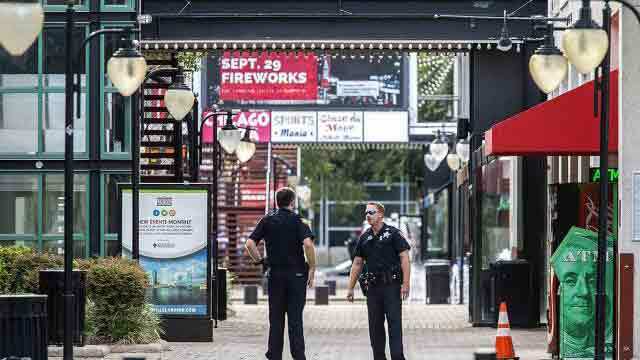 Miami, Aug 27 (Just News): Two people were killed and 11 others wounded Sunday when a video game tournament competitor went on a shooting rampage before turning the gun on himself in the northern Florida city of Jacksonville, local police said. William said local fire and rescue transported nine victims-seven of whom had gunshot wounds-to local hospitals, while another two people who were shot took their own transportation to hospital. The tournament at The Landing entertainment and shopping complex-a regional qualifier for finals in Las Vegas with a $25,000 prize-took place at the GLHF Game Bar. In disturbing footage apparently captured as part of a live-stream on video gaming website Twitch, several gunshots could be heard in the background, before the stream disconnected.